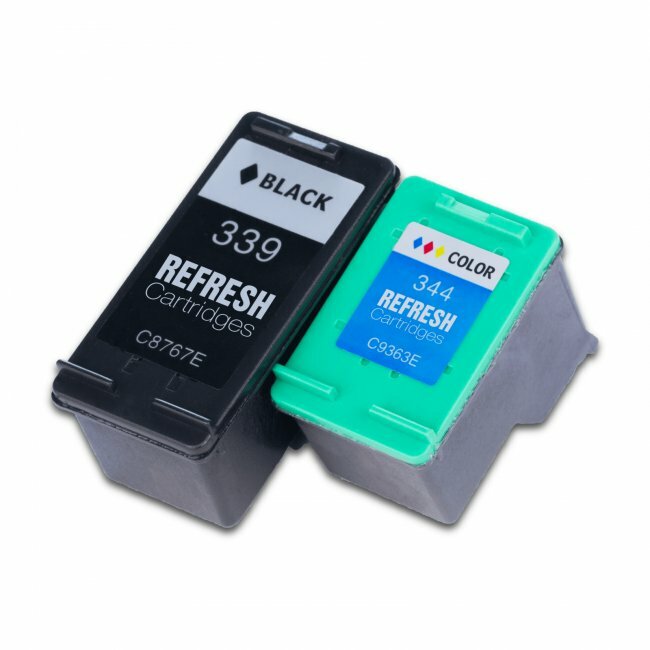 These high quality HP 339 Black and HP 344 Colour cartridges offer a high quality alternative to the original HP Cartridges at just a fraction of the cost. 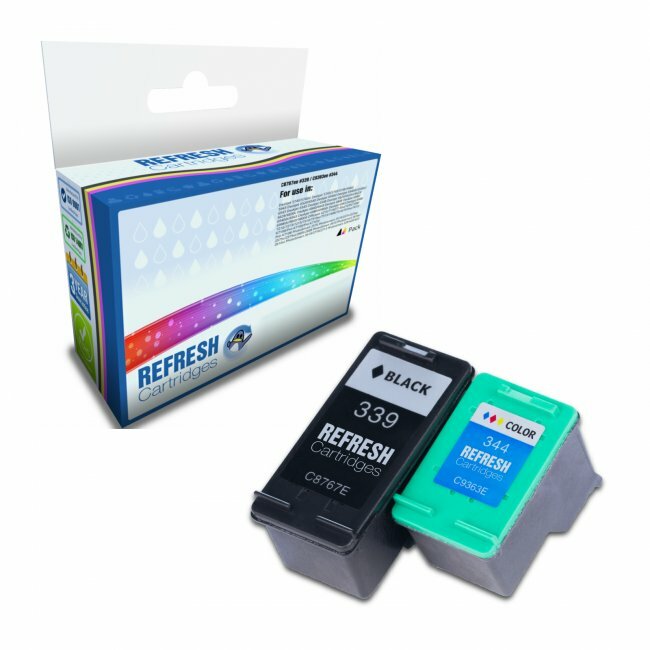 Each cartridge is individually remanufactured and tested, with the old HP 339 C8767ee and HP 344 C9363ee cartridges cleaned, having the internal sponges removed and replaced and then refilled with a high quality ink. With a saving of as much as £25 between this Remanufactured HP 339 and HP 344 Multipack and the original HP cartridges, these units represent a truly bargain purchase. Accepted AnswerThe HP 339 is the high capacity version of the HP 338. It is physically larger and holds more ink but your printer is designed to take both sizes. Accepted AnswerI am happy to confirm that we have all of the cartridges mentioned in stock and ready for purchase. If you just pop HP 100, HP 344 or HP 348 into the search bar at the top, they will be among the top results. 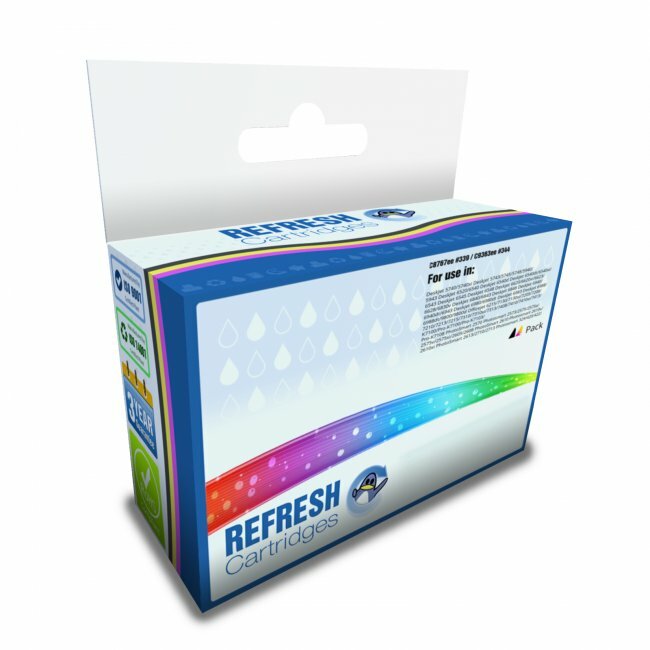 I could've bought my ink cartridges cheaper from somewhere else,but I've done that before and I've paid the price in the poor quality ink-print produced,so I was very happy to see that,for a few pennies more,the Refresh ink was of a better standard. Product as expected, the only gripe is due to the intracacies of HP printers the swapping of the cartridges took a while. However, after a few resets, everything worked perfectly. Very likely to use again.